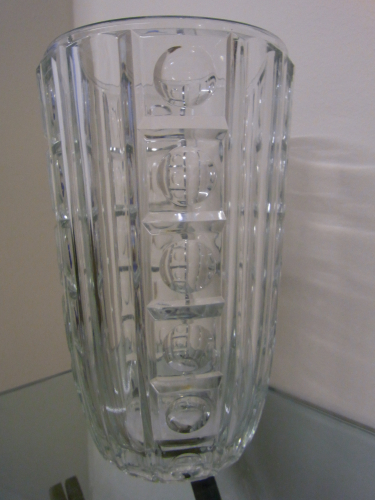 Pair of French 1940`s geometric Art Deco crystal vases. Both in perfect condition. Price is for each one.